Through the golden trees of autumn, the serene white of winter and the blossoming petals of spring, just like that and I have completed my first year in KAIST. For me, deciding to go to KAIST was a huge step forward as there were a lot of uncertainty of what to come in my first year living abroad. 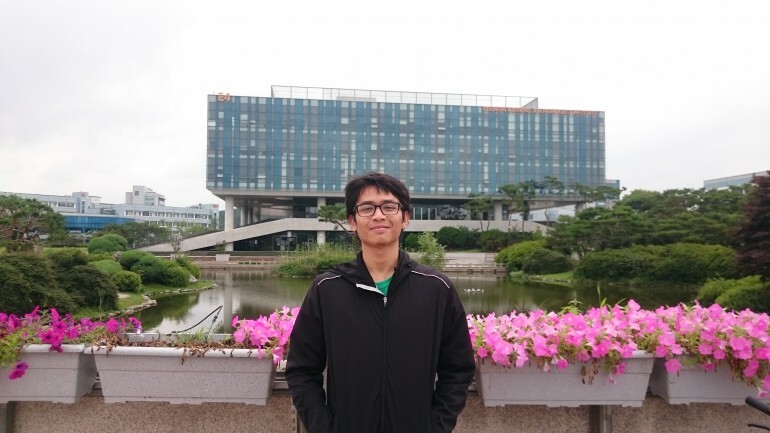 But on the first week after arriving at KAIST, I have already made memorable experiences with the orientation program, where every new freshman both international and local, has a chance to get to know and befriend each other. And as if to give us a dose of Korean culture, there was a K-Pop concert held inside the campus just before the semester began. Prominent artists were invited to perform in KAIST exclusively for the students. To help us with our first year of university in Korea, KAIST organised several programs for freshmen. The buddy program for international freshmen were organised in order to help you get around the facilities of the campus and helps you adapt for your first year of university. The mentor program which assigns you to a senior student of similar cultural background, is also there to help us through our first semester. Moreover, we were also introduced to some of Korea’s traditional cultures. During the semester, the happy college life and the exciting college life program provided activities that let us international students to experience various Korean cultures such as Korean traditional music and Korean pottery. Additionally, there were field trips to several famous cultural sites in Korea as well as a tour of Seoul city exclusively for the freshmen. Academically, KAIST provides a lot of opportunities and challenge. You will have the chance to compete and exchange ideas with both local and global talents who have gathered to study in KAIST. For your first year in KAIST, you will get the chance to explore and learn about various fields of research and study that KAIST can offer. The freshman administration will provide plenty of resources to guide you to choose your major during your first year. Personally I found this very helpful. If you are unsure of which major you want to pursue, there will be department presentations that will give you a concise summary of what to expect from that department. And if you are already sure, you can know more about the various fields of study provided by the department that will help convince you of your choice. Extracurricular activities are just as important in KAIST. There are various student clubs and organizations from sports to art and music. Some student organisations popular among international students include the KAIST International Student Association (or KISA) which is a student organisation that helps maintain the friendly relationship between international students and Korean students through various events and activities as well as Bizworld which is an organization that focuses on entrepreneurship. Students are encouraged to join the many clubs and organisations within KAIST as it can expand their skill and experience in addition to meeting new people. Every spring, all the student clubs and organisations hold the annual strawberry party where everyone can enjoy the strawberries and the spring warmth with their friends. Other programs that KAIST provides include cultural classes such as taekwondo and yoga where they will teach and introduce these activities to those who are interested. These classes are held throughout the year and I recommend these classes to those who are staying in KAIST and are looking for some activities during the summer or winter break. Personally, I think the KAIST team do their best to guide and help new freshmen, including us international students, with services, facilities and various programs such as those mentioned previously. If you are deciding to come to KAIST, do know that you are always welcomed and there will be plenty of people here ready to help you. Good luck!